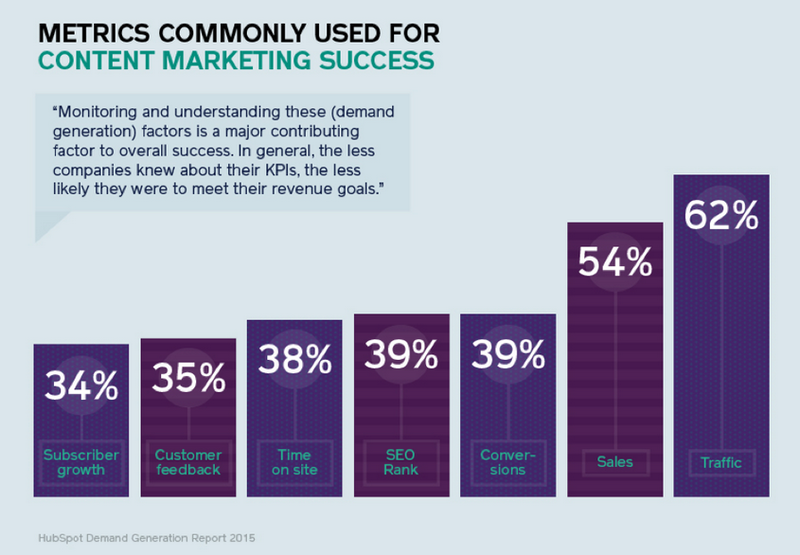 You know measuring the ROI of your content marketing is important. It’s the only way to quantitatively gauge the success and worth of your content. But, let’s face it. Without a workable content marketing ROI template and the right tools, getting the lucid insight you need from your analysis is tricky. This problem is, there’s no one-size-fits-all solution for keeping track of your content strategy’s short and long-term ROI. Factors like your resources, the complexity of your strategy, and your goals all write the details of the process that will work for your marketing team. You may want a dynamic set of metrics or a simplified content analysis that you can actually make sense of. You’ve seen it before. Page views are off the charts; everyone is opening your emails, and your social media engagement is raging. But, revenue remains flat. Lots of numbers. Lots of head scratching. 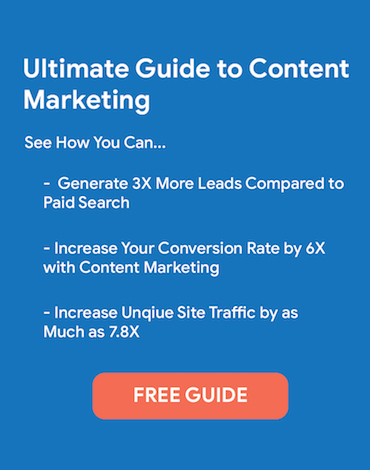 On the other hand, pare down your content marketing ROI formula to the bare basics, and you’ll see a glimpse of the monetary impact of your content, but you’ll miss out on spotting the trends, recognizing the drivers at each touch point, and gaining an understanding of why your ROI is where it is in the first place. 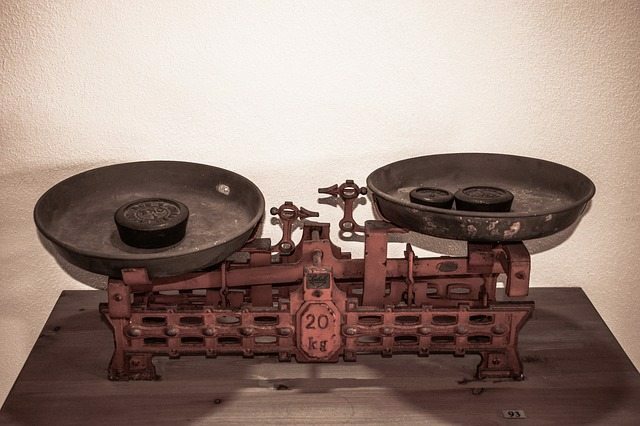 The only way to strike a balance between “not enough” and so much analysis you’ve crossed the red line of wasting your time, is to explore and experiment with different tools and methods until you get a streamlined process for measuring your content marketing ROI that specifically works for your organization. This is where a good content marketing ROI template and toolbox comes in to save the day. 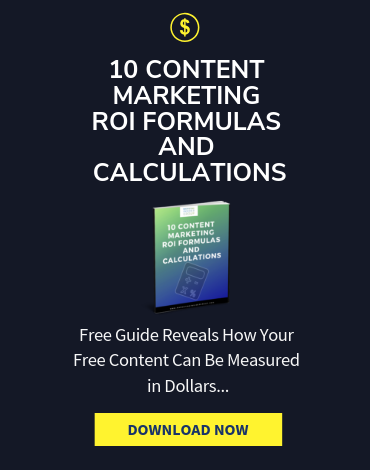 You’ll find both free resources and dynamic software tools you can use to help take your content marketing ROI efforts from exasperating to the efficient, concise and illuminating experience they should be. 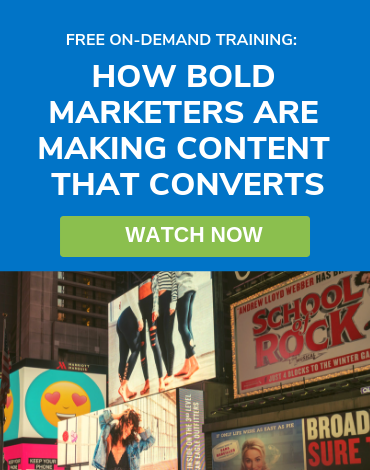 Here’s a look at how to get the numbers you need and the templates and tools you can start using today to help with tracking – and gaining insight from – your content marketing ROI. 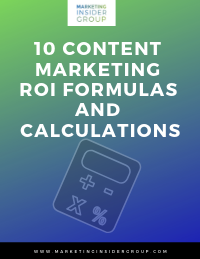 There are different ways to determine the financial value of your content so you can get to the ROI. 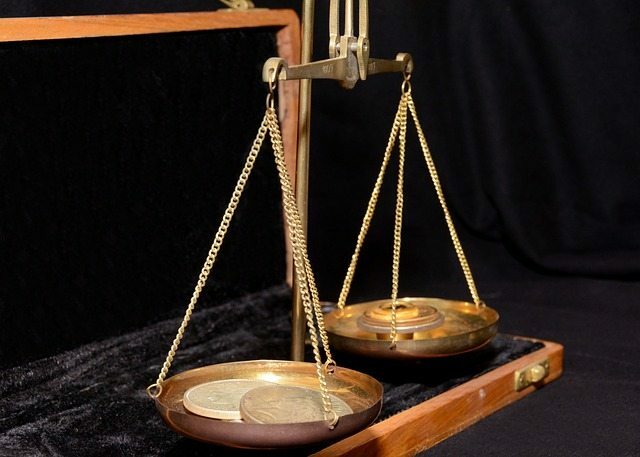 You can determine the revenue earned from a project looking at non-organic traffic sources. Google Analytics can track URLs from your email newsletters, Facebook posts, and other sources. For example, you can track when someone arrives at your site after consuming a piece of content and then downloads a white paper or eBook or fills out a form. You need to set up campaign parameters with the “Campaign URL Builder.” Then, you can create a “Goal” and give it an assigned value. Google Analytics will then track the goal and the accumulated revenue over a set period. Just make sure you use the same period for each type of content. In this case, you aren’t tracking actual sales revenue, but rather the expected resulting revenue from a conversion. You can figure out this value by looking at the number of leads that go into a sale, or more specifically, the revenue earned from that sale. For example, if it takes 20 leads to get one sale, which brings in $200 of revenue, the assigned value of each lead would be $10 (revenue/number of leads to achieve a sale). You can also determine revenue from content by looking at online sales. When you sell a product on your website, you’ll use your digital content to drive customers to your sales page. For example, a CTA on your blog post that leads to your sales page. Then, you look at the revenue earned over your set period (number of sales x price) to find out how much content your revenue is earning. With Google Analytics, you can track when your visitors read your blog, listen to your podcast, watch a video, or consume your other web content and then click over to the sales page and purchase. You’ll have to set up e-commerce tracking first – here’s a video of how to do this, although this is a task better suited for your web developer. It’s a bit complicated for the marketing mindset. 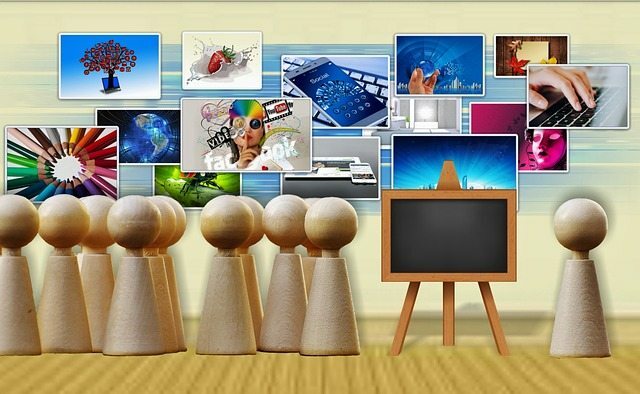 Now, you need to determine how much it costs to create each piece of content. A great way to do this is to track the time it takes to complete each task with time tracking software like TSheets or Toggl. Or, you can estimate the time. Look at the cost per hour of each person on your team that’s involved in the content. Add up the money spent, and you have a number. You can also include individual content expenses – for example, if you outsource the photography for a blog post or the music for your explainer video, you will add the costs for these content production expenses. These are the numbers you’ll include in your content marketing ROI template to easily keep track of the worth of your content over time. When you are using an Excel spreadsheet or another program, it will calculate the ROI for you. If you create a template yourself, you’ll want to plug in the formula. There are plenty of templates you can try out. Take a look and decide which will work for you. These are huge time savers. And, they’re free. Tracking ROI is the core of your analysis, but what other metrics should you track to gauge the value of your content? Factors like brand attachment and level of exposure say a lot about the worth of your content too. As mentioned before, you don’t want to go overboard, or you’ll spend more time tracking and less time planning and creating better content. So, start small. Here are a few helpful tools to get you started. Hootsuite is incredible for tracking social engagement and brand mentions on social media. Hubspot offers much more than content marketing analysis, such as marketing automation and SEO so it will cost more than other tools, but you’ll be able to analyze how all your content impacts your search engine rankings and how leads interact with your content at each buyer stage. Buzzsumo lets you track brand mentions, backlinks to your content, and how much your content is being shared on social media. Quintly focuses on tracking your social media performance. Google Analytics, as you’ve already seen, offers a lot to your content analysis efforts. You can also use the inbuilt tools on your social media sites, tracking your shares, likes, tweets and more directly on Facebook, Twitter, and any other sites you are on. 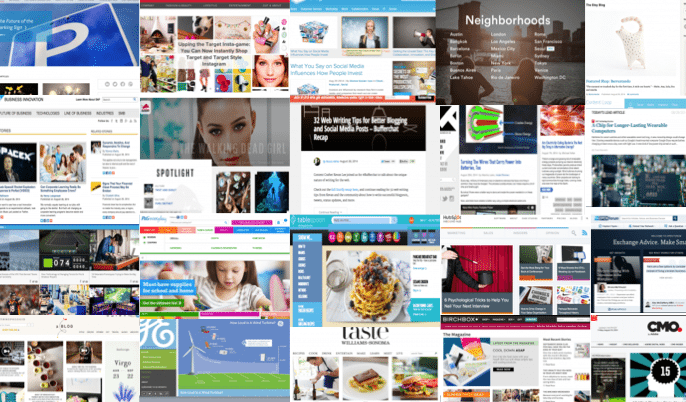 Anywhere from 60 to 70% of created content isn’t even being utilized. If you are spending marketing dollars crafting quality content, but it’s not contributing to revenue – either directly or through bolstering one or more points of the marketing funnel – then you’re not only bringing in an abysmal return on your content marketing. You’re probably not providing true value to your target buyers.